In 1999, Simon Bielby and Mark Straw established Abbey Personnel in response to a perceived lack of ethically driven worker solutions in the market place. Over the years they have built a reputation for offering high quality bespoke recruitment solutions to a wide range of clients within the food production, manufacturing and Logistics industries. From short-term cover to providing on site services for high volume contracts, Abbey Personnel pride themselves on offering ethical flexible worker solutions on either a temporary or permanent basis. Working on large scale projects and seasonal work means there is often a high-volume demand for staff over a fixed period. As a result, the capacity to scale up and down operationally is crucial. Therefore, having a guaranteed cash flow to pay a large number of workers at potentially short notice is important. From the beginning, Simon and Mark decided that a recruitment specific finance option was the best way forward for them. However, after years of receiving good service from their original provider, Abbey started experiencing a lack of support and they became very inflexible. Confined by the restrictions placed on them by their original finance provider and disappointed by their lack of flexibility, Abbey Personnel decided to look for an alternative to the financial model they were currently using. The team turned to a factoring company which they believed could meet all their financial needs whilst reducing their costs. However, it soon became apparent that using the traditional factoring model was damaging their growth potential. The 90% factoring solution meant that 10% was always held back – meaning essential funds to help grow the business were not available. Another negative impact with the factoring solution was the lack of back office support received. Not having a recruitment specific solution resulted in the team spending valuable time on admin tasks and organising payroll rather than focusing on business development. What’s more, concentration limits were holding them back and further restricting their growth potential. Simon and Mark found themselves restricted by time and money to grow the business. They needed a flexible recruitment solution which would guarantee their workers got paid without the worry of managing admin tasks. In addition, having access to their funds originally held back was critical in order to invest in their future growth plans. This is where Simplicity came in. Simplicity work specifically with recruitment businesses and were able to offer Abbey Personnel a 100% flexible finance solution that took care of paying all their workers each week, whilst allowing them access to their profit at the same time and all without concentration limits. This gave Simon and Mark the freedom to get on with the business of growing the company knowing that they had the right support in place and could confidently take on contracts of any size, without the worry of restrictions. What’s more, the comprehensive back office support provided by the experienced payroll and credit control teams at Simplicity meant that they could step away from managing admin and focus precious time on performing billable tasks. Another benefit of having Simplicity as a growth partner was that GEMS recruitment technology was included at no extra cost. Not only did it reduce errors and make the company more efficient, Mark and Simon could see the immediate economic benefit of having all their information in one place. 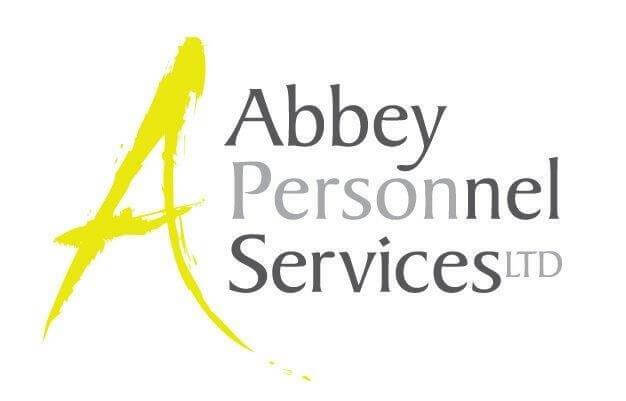 Not only did Abbey Personnel manage to reduce their costs and become more efficient through GEMS, the time saved through not having to do their own back office meant they could focus on growing the business with the funds they were able to access through the 100% finance solution. Mark, Simon and the team can continue to deliver high quality bespoke recruitment solutions to their clients knowing that Simplicity can support them all the way – from finance and back office to technology.